We’ll Build You a Website That Converts Browsers Into Buyers! Do You Want to Generate More Leads from Your Website? If you’re looking for a business minded website designer, that wants to actually understand your business first, then look no further. Unlike other website designers, we understand that spending money on website development is an investment and like all other decisions in your business, should be designed to achieve a return! Instead of focusing on pretty designs, we work with you to understand what your customers want, what their pain points are and how your product/service can help. You might notice the content on our website is written a little differently? This is a direct-response marketing technique, aimed to talk directly to the potential buyer. Create a positive first impression of your business: You have less than 5 seconds to create a good impression on visitors to your website and tell them what they can get out of visiting you. 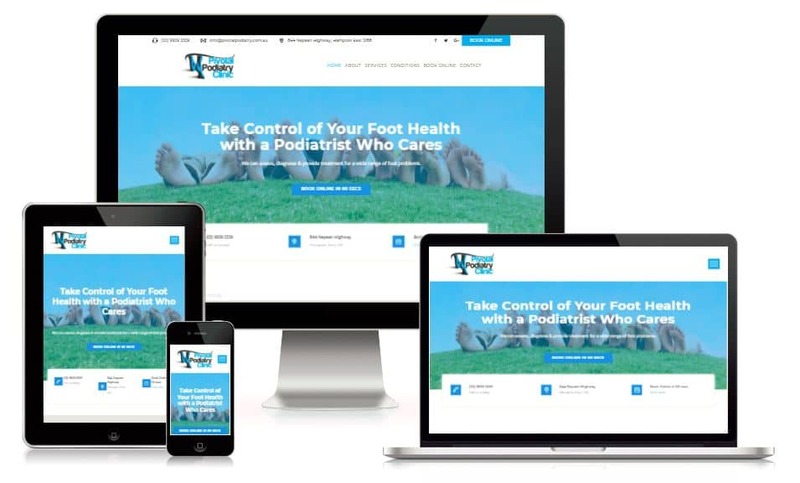 Get a website that is mobile responsive: 52% of all website page views in 2017 were from a mobile device. Therefore, your site needs to be designed for both mobile and desktop. Receive more traffic from Google search: Consumers are relying on Google searches more and more before buying products and services making search visibility vital. Improve your conversion rate: Our websites are developed to convert browsers into customers. During our initial phase we set the objective for your website and create conversion elements to meet your goals. When it comes to successful website design, there are essential elements that every website needs. Below we have outlined 6 of the most important elements which we implement in all of our website developments. Your headline is the best chance to quickly tell browsers what you can do for them. Browsers decide in less than 3 seconds if they will stay on your website. Help website browser take the next logical step by including call to actions (e.g. call your phone number, book a meeting or submit an online quote form). Build trust with browsers by including logos of customers you’ve worked with, associations you belong to or awards you have won. Define your target audience and style your websites design to appeal to that audience. Write content with the browsers needs in mind and always answer the age old question “What’s in it for me!”. Make sure your website has interesting images and embedded videos to make the browsing experience more interesting. Why Build Your Website in WordPress? Wordpress makes it super easy to make updates to your pages, posts, website design and structure without having to do any coding. You can add just about any functionality you can imagine with an enournous bank of mainly free WordPress plugins available. Easily maintain key SEO elements like updating meta tags, alt tags, URLs and monitor the keyword density without any coding. There’s no need to update multiple site versions as any changes are reflected across desktop, mobile and tablet with WordPress responsive designs. Complete the form below to get a free report with the reasons your website isn’t generating leads for your business.